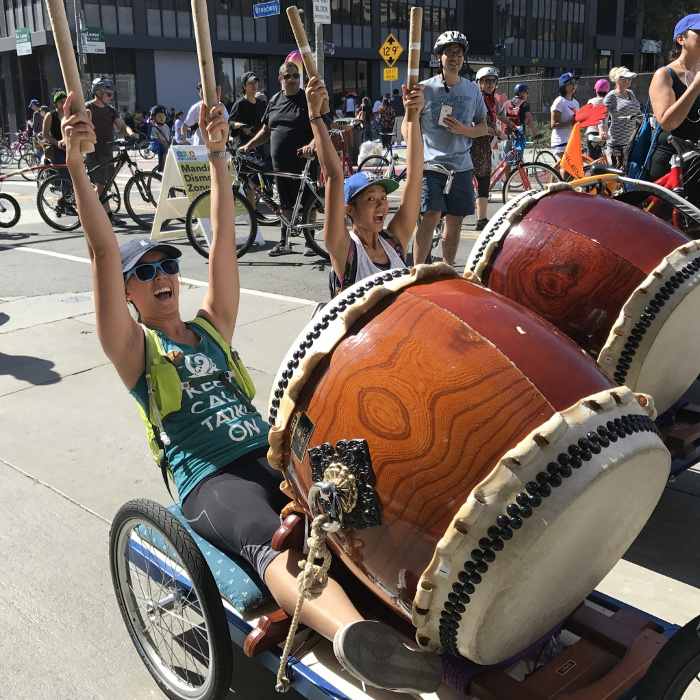 CicLAvia closes the streets of downtown LA to cars and turns them over to cyclists, pedestrians... and taiko players! I have received a commission to compose a new piece for the September 30 CicLAvia, celebrating the LA Philharmonic's 100th Anniversary. The piece, entitled "Grand Ave", takes advantage of the unique reverb created by the skyscrapers along the route. I need performers of handheld percussion and taiko instruments pulled by bicycle. This 4-week course will teach the piece and practice for the performance.